Swedish pianist/keyboardist/composer Karlzon’s approach to his music is an unusual hybrid – seemingly a traditional piano trio (with bassist Hans Andersson and drummer Robert Mehmet), he seeks to combine the improvisatory unpredictability of jazz with the catchy immediacy of pop. Indeed, following on from 2012 ACT debut, More, and a successful couple of years honing their sound on the live circuit, the mood of these eight originals – along with a surprising U2 interpretation – is generally upbeat, either in effulgent vitality or warm serenity. The production is tight, with a strong emphasis on synthesised pop techniques – yet, impressively, Robert Mehmet’s acoustic percussion and Hans Andersson’s sung bass meld organically with Karlzon’s shimmering electronics, as well as his eloquent pianistic wizardry. The title track’s Vangelis-like theme tune propulsion typifies this, providing Karlzon with the bright, washy canvas on which to sparkle high at the piano; and Bubbles twinkles magically, Andersson’s bass contributing a beautifully resonant extemporised tune. Recall Bono’s vocal to U2’s pounding classic I Still Haven’t Found What I’m Looking For (from 1987’s The Joshua Tree)… and then imagine it as a gently lilting, Enya-style piano solo – it works so well. And to follow, the more rock-driven piano/synth number Outsourced trudges with intent, bearing an uncanny resemblance, say, to Bruce Hornsby’s exuberant live offerings. So, already it’s clear that Karlzon is filtering many influences and styles to fashion a fascinating sound world. Metropolis is more shadowy. Here, e.s.t. comparisons are difficult to avoid, given the complex techno drum rhythms and prominent, rolling prepared piano improvisations – but, still, it carries the Karlzon mark, tinted with ’70s/’80s prog rock. In contrast, the piano limpidity of Inner Hills, with its soft, simple motion, is a sure heartbeat reducer – time standing still for a light-headed few minutes. And, consistently, it’s the composer’s desire for melody which elevates his creations above any suggestion of humdrum ambience. 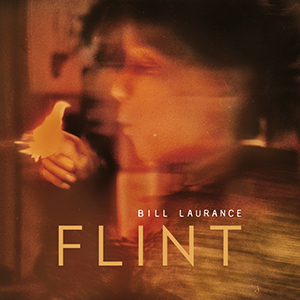 Folksong-imbued One More Day shifts into modulatory overtones of Thijs van Leer’s Focus, albeit with a funkier bass edge, Andersson’s pliant strings colouring Karlzon’s piano extemporisations; Screening Self seems to fuse late-Genesis rock influences with (again) a hint of Focus in its scratchy, ascending Hammond interventions; and, finally, Karlzon winds down with A Thousand Conclusions, a meditation which displays the subtle interaction of the ‘3’, building to showcase the pianist’s undeniable piano prowess. 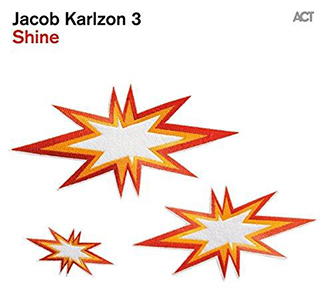 Released in the UK on 15 September 2014, the Jacob Karlzon 3 reach for the feel-good, hoping that this album “helps each and every one who hears it to shine a little in their daily life.” More information and samples can be found at ACT.